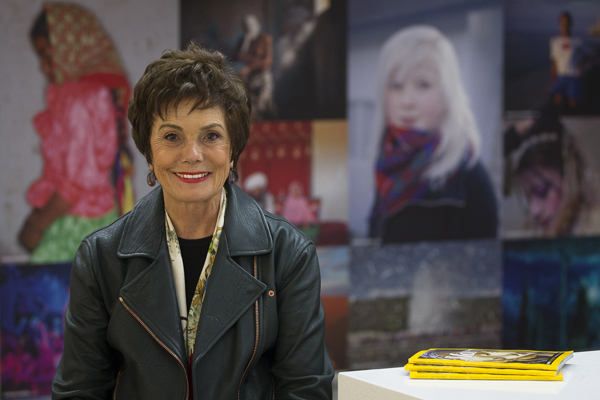 WASHINGTON (CNS) — Maureen Orth, a special correspondent for Vanity Fair magazine who has written about music icons, world leaders and Hollywood celebrities, tackled a completely different subject for National Geographic magazine: the Virgin Mary. For the magazine’s December cover story, “Mary the most powerful woman in the world,” Orth visited several countries and interviewed dozens of people with strong devotional ties to the Mary — including from those who claim to have seen her, those who believe her intercession has healed them and those seeking her spiritual guidance and intercession. In the magazine’s Washington office Nov. 24, Orth, widow of Tim Russert, moderator of NBC’s “Meet the Press,” who died in 2008, said what made the biggest impression on her while interviewing people for the article was Mary’s universal appeal across diverse cultures. The Muslim appreciation of Mary, as a “holy woman of God,” she told Catholic News Service, “is a bridge that ought to be explored,” especially in this time of strife caused by religious extremism. Orth, a practicing Catholic, who certainly knew about Mary before this assignment, said she learned a great deal from talking with scholarly experts and reading mystics who wrote about the life of Mary but whose observations didn’t make it into the article. She came away with a “more personal relationship” with Mary than an intellectual one, saying she understood Mary more as a person after talking with so many who are devoted to her. She also witnessed the deep faith of many who have traveled great distances to be where apparitions of Mary are said to have taken place such as Medjugorje, Bosnia-Herzegovina, where six village children said they first saw Mary in 1981 and continue to see apparitions there. A Vatican doctrinal congregation is still studying these claims. In the small village, Orth met four stage-4 cancer victims last November: Two have since died, one is under treatment and another shows no signs of the disease. All four spoke of spiritual conversions and inner peace, she said. A 59-year-old hockey dad from Boston told Orth that in 2000 one of the Medjugorje visionaries prayed with him for a cure of the cancer that riddled his body, giving him only months left to live. During the prayer, he felt a sensation of heat in his body. When he went back to Boston a week later, a CT scan at Massachusetts General Hospital revealed that his tumors were almost gone. Since then, he’s been back to Medjugorje 13 times. 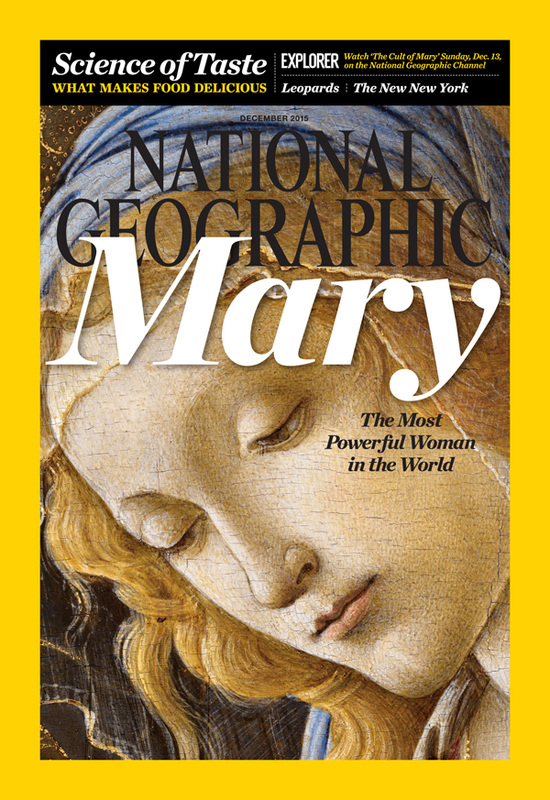 The editors at National Geographic wrote in the margin by Orth’s account of his story: “Why do miracles happen to some people and not others?” Orth, who doesn’t have an answer to that theological query, noted the challenge of explaining spiritual accounts in a scientific magazine. One of Orth’s most inspiring stops for the story, primarily because she had not been unaware of it, was the small village of Kibeho, Rwanda, described as the place where Mary appeared to three young girls in the 1980s and foretold the genocide that took place in that country in 1994. In 2001, that Vatican verified the claims of the three girls. One had been killed in the genocide, one became a monastic sister in Italy, and the third fled to the Democratic Republic of the Congo and then Kenya during the three-month onslaught when the majority Hutu attacked the minority Tutsi and more than 800,000 people were killed. But even though Mary is said to have spoken of the love of Jesus and gave these girls motherly advice, she is also said to have shown them images of heaven, hell and purgatory along with horrific images of genocide that she warned could happen if Rwandans did not renew their hearts and dispel evil. Orth said that the people she spoke with who said they saw apparitions all seemed genuine. She approached them as she would an investigative journalist. Their stories have been consistent throughout the years, and they also have undergone extensive questioning from Vatican officials. Orth pointed out that very little is known about Mary from the Bible, but as her story reveals, the lack of details about Mary has not stopped people from reaching out to her in prayer and devotion as a way to better understand and approach God. “The number of people who use her as their guide and their way to a higher meaning, that was impressive across the board,” Orth said. Read the 4 books of the History of the Blessed virgin Mary (The City of God) by Sister Mary Agreda and you will see how powerful She really is because God has granted theme to Her as the Mother of God. Yet, we Catholic s only venerate Her. I too will be buying this issue, I am interested to read as to how Ms. Orth dealt with the misconception that Catholics or other worship Mary. I will be buying a copy of the magazine or reading it at a library. I am increasing my devotion to Mary.